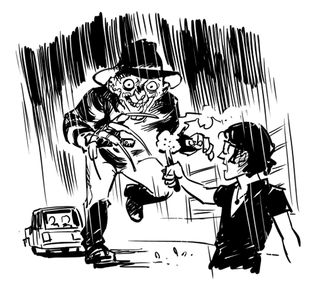 A few hours ago, Gotham Academy writer Becky Cloonan pondered a thought I'm sure everyone's had - what if instead of breeding Dinosaurs, Jurassic Park hatched Freddy Krueger? Artists rushed to visualise her idea, resulting in some hilarious sketches. The Internet is truly a magical place some times. You can see plenty more over on Cloonan's Twitter feed.